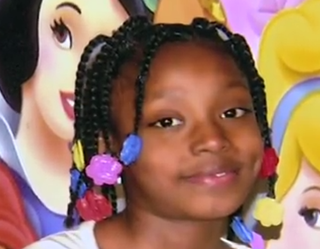 Jury selection began Monday for the second trial of an officer in a top Detroit police unit who was involved in the tragic shooting of a 7-year-old girl during a 2010 raid, the Associated Press reports. The last trial ended 15 months ago with a hung jury when the jurors could not agree on a verdict in the involuntary manslaughter case. While no one has claimed that Officer Joseph Weekley meant to shoot and kill Aiyana Stanley-Jones, prosecutors charged him with manslaughter, saying that he handled the submachine gun recklessly, ultimately leading to the little girl’s death. Aiyana had been sleeping on a couch near the front door during the midnight raid, in which police were searching for a murder suspect. According to AP, Weekley was a member of Detroit’s elite Special Response Team. While conducting the raid, the officers tossed a stun grenade through the window. Weekley was the first one through the door. He said that he accidentally pulled the trigger of his weapon when the little girl’s grandmother Mertilla Jones allegedly grabbed his gun. The older woman denies having done so. Weekley’s fellow officer Shawn Stallard testified during the first trial that he did not see any struggle for Weekley’s weapon. He added that officers were usually trained to push away anyone going for the gun, or move the weapon in such a way that they can maintain control. "I just feel devastated and depressed. I'll never be the same," Weekley told jurors during his first trial. The tragic raid was being filmed as part of a police reality TV show, The First 48, AP notes, but there was no footage from inside the house. The murder suspect, Chauncey Owens, was eventually caught and convicted in the killing of a 17-year-old boy, AP reports.